Our vacation home rentals in Fort Myers Beach range from 1 to 8 bedrooms and can accommodate up to 18 guests. Almost all of our vacation rental homes have a private pool and a well-stocked kitchen. Many visitors escape to this beach by flying directly into the closest major airport, Fort Myers’ own Southwest Florida International Airport, about 35 minutes away. Fort Myers Beach is surrounded by distinct wetlands, many water-bound activities, and a fascinating aesthetic of colorful cottages and epic beaches. There’s no end to the many things to do in Fort Myers Beach, and the majority of them include activities on the water. Admire the views from the balcony or screened-in lanai. Take advantage of the close proximity to the beach and walk to the water’s edge with your morning coffee in hand. 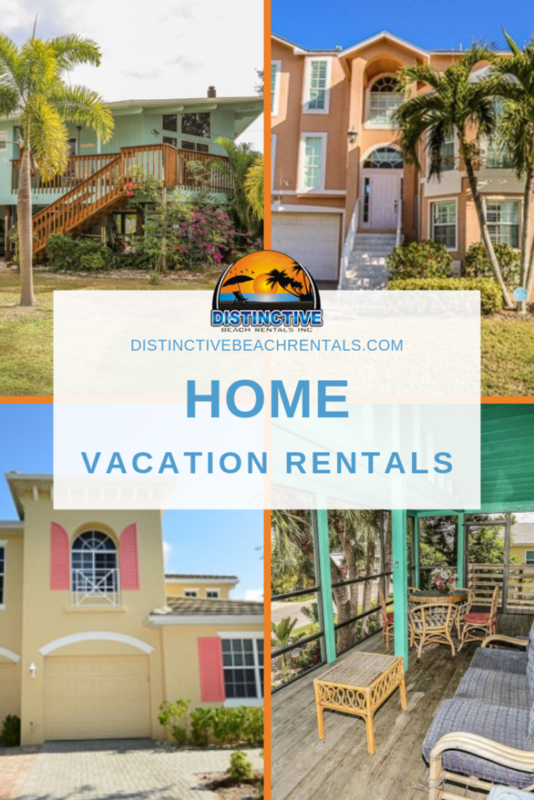 Choose your favorite vacation rental in Fort Myers Beach and book online today.